We have two opportunities for wheelchair users and their families to enjoy a day of leisure in Glasgow! 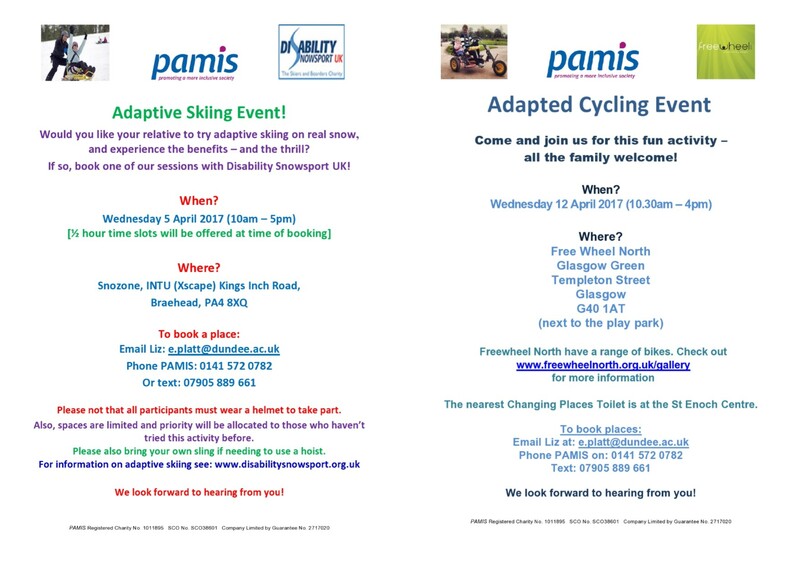 Join us at INTU Braehead for a shot at adaptive skiing on the 5th of April or come along to Free Wheel North at Glasgow Green to try adapted cycling on the 12th of April. Contact Liz Platt at e.platt@dundee.ac.uk to book your places!